Home Kindergarten, Here I Come! Kindergarten Here I Come! is an activity guide that helps you prepare your child for Kindergarten. Click to print the Kindergarten, Here I Come Activity Guide (English). Click to print the Kindergarten, Here I Come Activity Guide (Spanish). 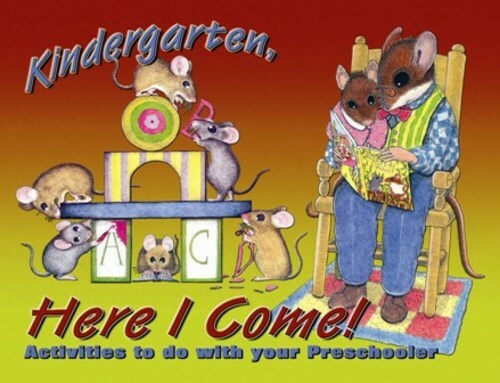 Sign up to receive Kindergarten, Here I Come newsletter. Each month, receive tips and information to help your preschooler prepare for Kindergarten. Sign up now. Want to share the flyer to sign up for the Kindergarten, Here I Come! enews? Click here to print the half page flyer. If you’d like to order hard copies, call the printer at 1-800-257-8830 or visit Child Core Publishing at www.childcorepublishing.com.